MetalRockNews: Metallica's Lars Ulrich: "I want to see Motorhead, Iron Maiden, Judas Priest inducted into Rock And Roll Hall Of Fame"
Metallica's Lars Ulrich: "I want to see Motorhead, Iron Maiden, Judas Priest inducted into Rock And Roll Hall Of Fame"
Metallica drummer Lars Ulrich took questions backstage in the press room after inducting Deep Purple into the Rock And Roll Hall Of Fame on April 8. You can read some excerpts below. 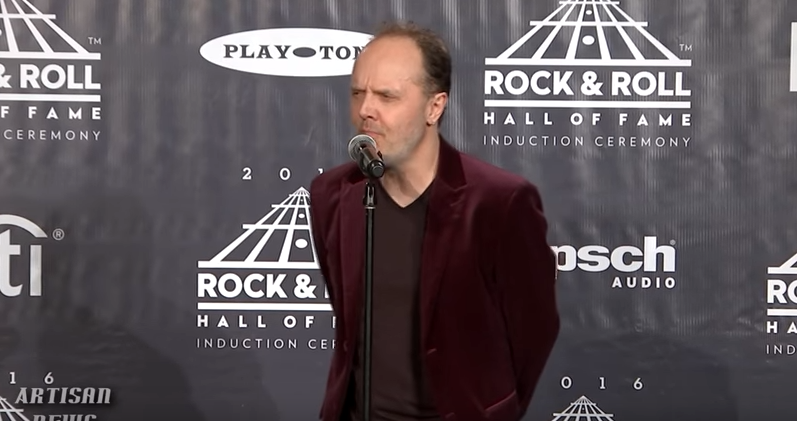 About which artists he would like to see inducted into the Rock Hall next, Ulrich said: "Well, obviously, there's a slew of people from back in the day who should be next. I don't have this prepared, so forgive me if it's somewhat out of whack. But I guess off the top my head, I would say Motorhead, Iron Maiden... I don't know...Judas Priest at some point, maybe… I think the one band that is eligible next year, if my math is close to being right, is Rage Against The Machine, who I hope we don't have to wait decades for to get in, because their influence is, obviously, immeasurable. And so I would say that of the sort of later-generation bands, Rage Against The Machine, hopefully, should be on deck, ready to come. But from bands back in the day, I mean, you know, Uriah Heep, Judas Priest, Rainbow maybe at some point… Thinking in the '70s and the early '80s, obviously, Iron Maiden, Motorhead, Judas Priest... The list goes on. I'll remember all of them as soon as I step off the stage."